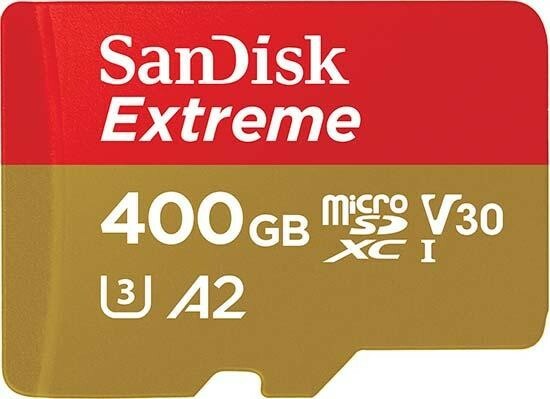 The new 400GB SanDisk Extreme microSDXC card is the World's Fastest UHS-I microSD card. At 160MB/s*, the new card is more than 50 percent faster than current SanDisk Extreme UHS-I microSD cards. Western Digital is also demonstrating the future of flash memory card technology with Peripheral Component Interconnect Express (PCIe)-enabled cards, designed to deliver the performance required for the next wave of data and content-intensive applications. BARCELONA, Spain--(BUSINESS WIRE)--MOBILE WORLD CONGRESS – As mobile content and applications grow increasingly sophisticated, Western Digital Corporation (NASDAQ: WDC) is transforming the mobile experience with new industry-leading mobile solutions designed to enable consumers to better capture, share and enjoy rich content on their devices. At Mobile World Congress, the company is releasing the world’s fastest UHS-I flash memory card, the 400GB1 SanDisk Extreme® UHS-I microSDXC™ card, and demonstrating the future of flash memory card technology with Peripheral Component Interconnect Express (PCIe)-enabled cards, designed to deliver the performance required for the next wave of data and content-intensive applications.